One of the things that most people desire is a trim waistline, especially for girls. Another thing that everyone wishes is the cure for every disease. Most of them, therefore, have resorted to fad diets that are not scientifically proven. They are being promised of the healing for their illnesses, body shapes, and surprisingly long life! What they don’t know is that fad diet has worst effects on their bodies. They don’t have long-lasting effects, and repeated use may result in health issues. The surest way to attaining your desired body shape, size and good health is using a good diet plan. Out of the many diet plans that are scientifically proven, choose one that works well for you, and probably that is if it helps you to achieve your goals. Compare diets for some time until you come up with the one that goes well with your body. Some diets may result to irritation in your body or sensitiveness on your skin. Here is a simple guide to comparing diets that are best for you. Different people have different health problems. Some have stomach complications, skin complications while others have heart complications. So, depending on your health issues, there is the right diet plan that can correctly work for you. If you are having gastrointestinal problems like indigestion and blotting, nutritionists recommend the low-FODMAP diet for you. It helps with digestion issues. FODMAP is found in the food that we eat. They are fermentable oligosaccharides, disaccharides, monosaccharides, and polyols. They are non-digestible fibers and low-chain sugars that help resolve to blot. Few examples of FODMAP food are fruits like grapes and bananas, whole grains and starch, vegetables like pepper and carrots. If you are struggling with skin diseases, nutritionists advise you to take the WHOLE30 diet. Eat eggs, meat, seafood, and vegetables. People have different goals in their bodies. There are some who are struggling to lose weight while others are struggling to gain weight. It doesn’t matter what you want with your body. There is a perfect diet plan for you that has been proven by the scientists. Don’t go for the fad foods. They will ruin your health. 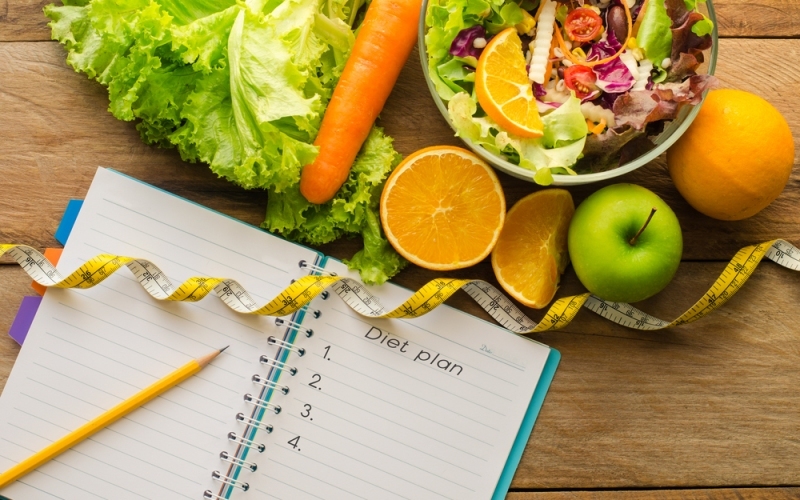 If you want to lose weight, scientists recommend the DASH diet. It contains a menu with a lot of vegetable fruits and low-fat dairy. It controls hypertension and high blood pressure which comes as a result of overweight that comes from eating a lot of fatty foods. This food lowers high blood pressure. They contain a low amount of calcium and a lot of potassium and calcium. For obesity issues, nutritionists also suggest the volumetric diet which includes dried juice, frozen vegetable, legumes low-fat fish and lean meat. If you want to gain weight, eat food with a lot of calories, protein-rich food, avoid skipping meals and avoid a lot of fats as this may result in heart problems. There are other foods like paleo foods that help reduce weight and control type 2 diabetes. Eat fish, poultry, meat, and vegetables. Diet and intermittent diet is best for people who practice fasting. They are best for people who can tolerate hunger for long but can’t stick to calorie restriction diet. These foods include vegetables, fish, soup, etc. Avoid red meat and processed food as much as you can. You eat this food for five days and then restricted for two days. Different people have different lifestyles. They have the best dishes and the worst dishes. So depending on your favorite recipe, you can choose your diet as long as long as it does not bring any complications or sensitivity in your body. There are diets like the Mediterranean diet that can be taken by anyone depending on your choice. They include vegetables, olive oil, and wine. They help lengthen your life and reduce cardiovascular diseases.